PHP Caching : The way to speed up PHP sites. There are many sites which is built in PHP. PHP provides the power to simply ‘pull’ content from an external source. it could just as easily be an MySQL database or an XML file etc. Different Caching mechanism are discussed below. 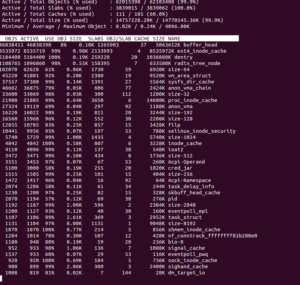 For monitoring apc cache hits and miss, apc providing a php script. which is located at /usr/share/doc/php-apc/apc.php. Copy this file to your document root and you will be able to monitor your apc status. without apc it took 8 seconds to complete the request .. with apc.. 1.15 seconds..
Memcached system uses a client–server architecture. The servers maintain a key–value associative array; the clients populate this array and query it. Keys are up to 250 bytes long and values can be at most 1 megabyte in size. Clients use client-side libraries to contact the servers which, by default, expose their service at port 11211. Amazon provides a Service called Amazon elasticache for memcache through which we can configure memcache clusters for caching purposes. php script used for memcache testing..
Varnish has a concept of “backend” or “origin” servers. A backend server is the server providing the content Varnish will accelerate. Our first task is to tell Varnish where it can find its content. open the varnish default configuration file. Iif you installed from a package it is probably /etc/varnish/default.vcl. Change the port number to your apache ( or whatever the webserver you are using) port number. this piece of configuration defines a backend in Varnish called default. When Varnish needs to get content from this backend it will connect to port 80 on localhost (127.0.0.1). Caching should not be used for some things like search results, forums etc… where the content has to be upto the times and changes depending on user’s input. It’s also advisable to avoid using this method for things like a Flash news page, in general dont use it on any page that you wouldn’t want the end users browser or proxy to cache. Database optimization is the process of configuring database to use system resource efficiently and perform tasks quickly. To optimize mysql you should know the work flow of entire system, your hardware, operating system, disk I/O performance etc. You can do more with less. The default mysql setup is optimized for a minimal system because it should work well on a minimal hardware. But when you use a dedicated mysql server with high traffic and complex queries you have to optimize mysql. Here you will find some common optimization parameters. MySQL global variables don’t have any predefined optimum values. It is a trial and monitor process. It depends on all the above parameters. Here you will see some of the common parameters. It is size of the buffer used to index blocks for MyISAM tables. On a dedicated mysql server with MyISAM storage engine 25-30% of systems total memory you can allocate for key_buffer_size. To fine tune key_buffer_size you can compare the variables key_reads and the key_read_requests. This ratio should be at least 1:100. Here the ratio is 1:115 which is acceptable. But suppose you get a ratio 1: 10 then you need to add more key buffer and upgrade hardware accordingly. “My website is too slow while loading dynamic pages”. If it is a mysql database related issue, following MySQL variables will be your solution. 2 Cache results ondemand. Cacheable queries that begin with SELECT SQL_CACHE. 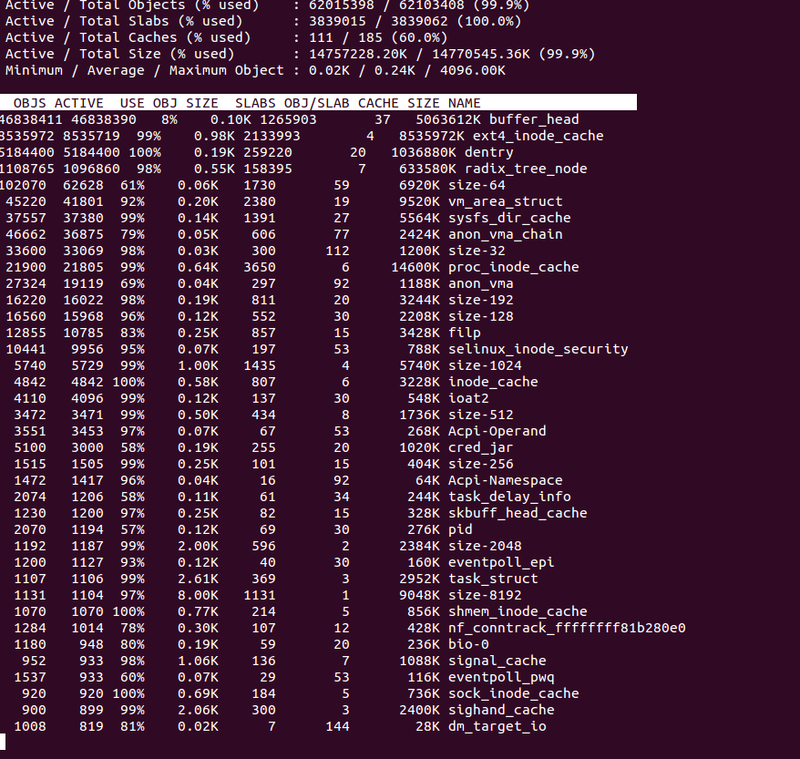 The amount of memory used to cache query result. Default is 0 which disable query cache. The optimum value is depend on your application. Do not cache results that are larger than this number of bytes. The default value is 1MB. When a query is removed from the query cache, this value will be incremented. If it increases quickly, and you still have memory to spare, you can set query_cache_size high, If it never increases, you can reduce the cache size. The sort_buffer is a useful for speed up myisamchk operations. It can also be useful when performing large numbers of sorts. Created_tmp_disk_tables and Created_tmp_tables to optimize tmp_table_size. This variable is target for innodb table and it is similar to key_buffer_size in MyISAM table. On a dedicated mysql server using innodb you can set this upto 80% of RAM. If you have large tables(>3GB), you should consider 64 bit hardware as mysql uses a lots of 64bit integers internally. Another consideration is Ethernet device, You can use a 1G Ethernet for a dedicated mysql server for fast remote connections. Disk performance is also an important parameter. Striping disk (RAID 0) will increase both read and write throughput. Don’t use RAID 1 or mirroring on disk for temporary files. USE EXPLAIN to explain! !.You will see detail below. MySQL start searching from the beginning row to find the student with id 145870. It does not even know it exist or not. An index is a sorted file which have an entry for each row.MySQL can find the corresponding record very quickly by referring this index. The possible_keys is null. In this case mysql will check all the 10000 rows. We can say this query(or table) is not optimized. The type is “const”, which means that the table has only one matching row. The primary key is being used to find this particular record. There are many more optimization variables and indxing methods. It is difficult include everything in a single article. But you can start mysql fine tuning while you database is underperfoming.